Ahead of elections that are due very shortly, Pakistan Tehreek-e-Insaf has outlined key initiatives that it would be picking to reform the Digital Arena for Pakistan. Pakistan Tehreek-e-Insaf, which is being termed as one of the leading contestants in the upcoming elections, has been up and running pointing out different plans that it would be taking once it partakes the government officially. Today, it unveiled its agenda which it would take to improve the Digital and IT related arena of Pakistan. The policy doesn’t only talk about IT and startups, rather it addresses different core education-related steps too that would be taken to improve the tech-related expertise in the long run. Termed as “PTI Digital Policy”, the policy is by far the first notable policy outlined by any of the major political parties ahead of the elections. The policy has been designed so as to focus on the long-term goals that could improve Pakistan’s stance in the digital domain. 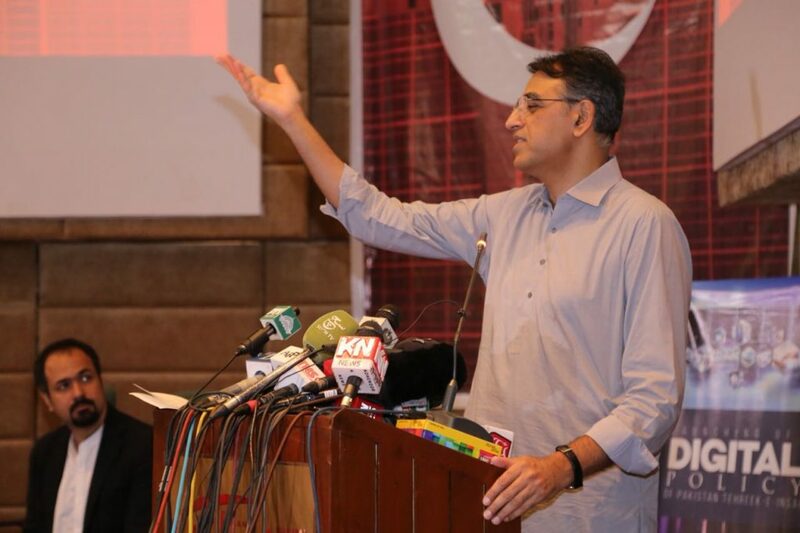 The launch took place at a dedicated event today in Islamabad and was attended by many top-brass PTI leaders, including Asad Umar who stated out the policy. CEO DPL IT, Syed Ahmad, was also present on the occasion. PTI’s Digital Policy basically tackles three important issues, told Imran Khan in a video message, the Digital Policy as outlined by PTI has been designed to kill the dearth of jobs, the policy would also increase the software-related exports and use technology to increase transparency and curb corruption. The critical role that P@SHA is doing to increase the visibility of issues that Pakistan’s digital and startup related issues needs to be appreciated here. Very recently, government related stake-holders have started taking these issues more seriously. Prime Minister, Shahid Khaqan Abbasi, just recently, announced a major incentives package and the biggest tax holiday for the local IT industry.